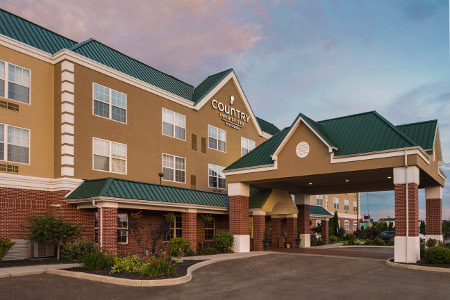 Situated less than two miles from the University of Findlay, the Country Inn & Suites® by Radisson, Findlay, OH is the perfect base for Oilers fans and future students. Thanks to our location just off I-75, it’s easy for guests to visit Findlay’s top attractions, like the Mazza Museum, or make quick commutes to corporate offices like Cooper Tire & Rubber and ADP. 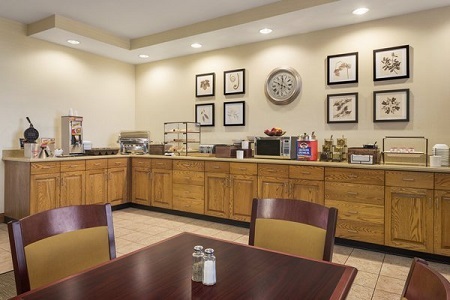 Mornings are better at the Country Inn & Suites with our complimentary, hot breakfast. Make your own Belgian waffle or sit down to some bacon and eggs. For those who prefer lighter fare, we also offer yogurt, fresh fruit and cereal. For lunch or dinner, explore the menus at nearby restaurants like Rossilli's Restaurant or Steve's Dakota Grill. 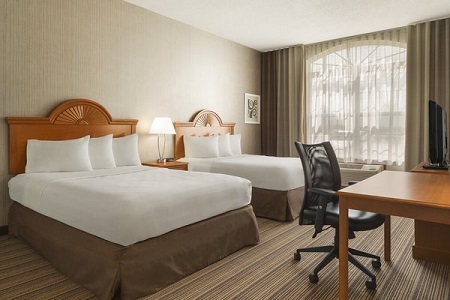 University of Findlay – Whether you’re here to tour the campus, attend a conference or cheer on the Oilers, our hotel puts you near all the buzz of the University of Findlay. The beautiful 73-acre campus is just a five-minute drive to the southeast. Mazza Museum – Scan through the world’s largest collection of children’s book illustrations less than two miles away from our Findlay hotel. You won’t want to miss the works of renowned artists like Mary Engelbreit and Eugene Yelchin. Van Buren State Park – For a great day outdoors, pack a picnic lunch and make the easy seven-mile drive north to this 251-acre park. Depending on your mood, you can row on the lake, play a round of disc golf or wet a fishing line. Hosting a reception, meeting or seminar in Findlay? 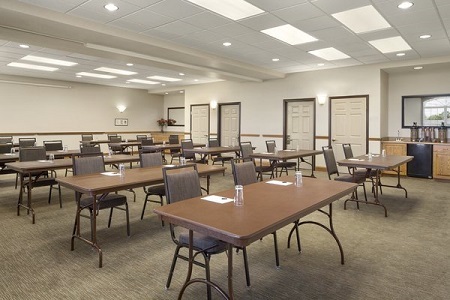 Reserve our 1,200 square feet of flexible meeting space to accommodate groups of up to 75 guests. We offer audiovisual equipment rental, breakfast service, coffee and cookie breaks, and free Wi-Fi. Our hotel also provides special services for weddings, tour groups and traveling sports teams.